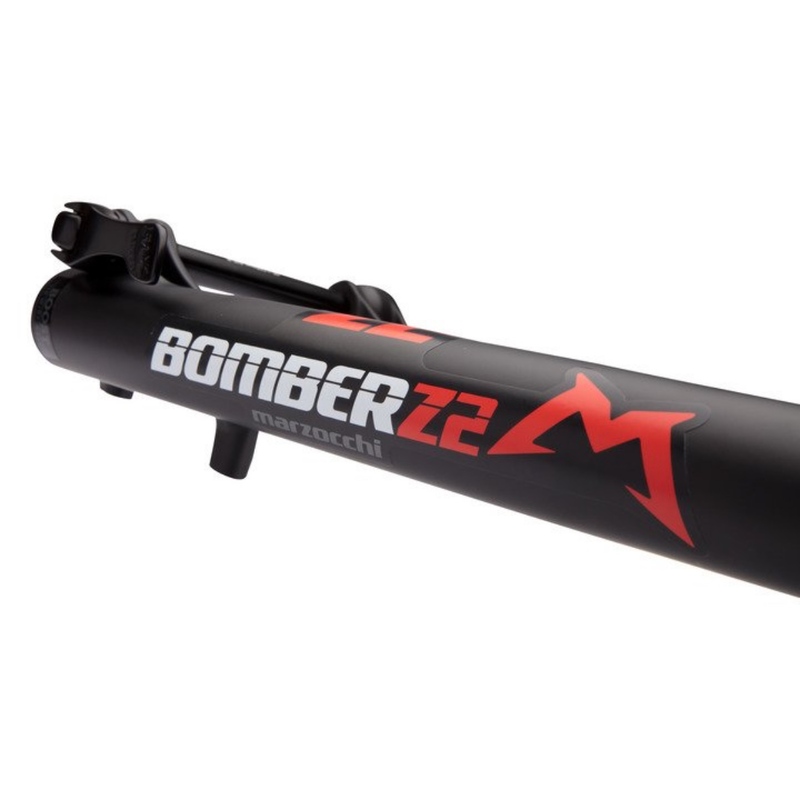 The just launched Marzocchi Z2 has many of the same features as the Bomber Z1 but sells for $200 less. 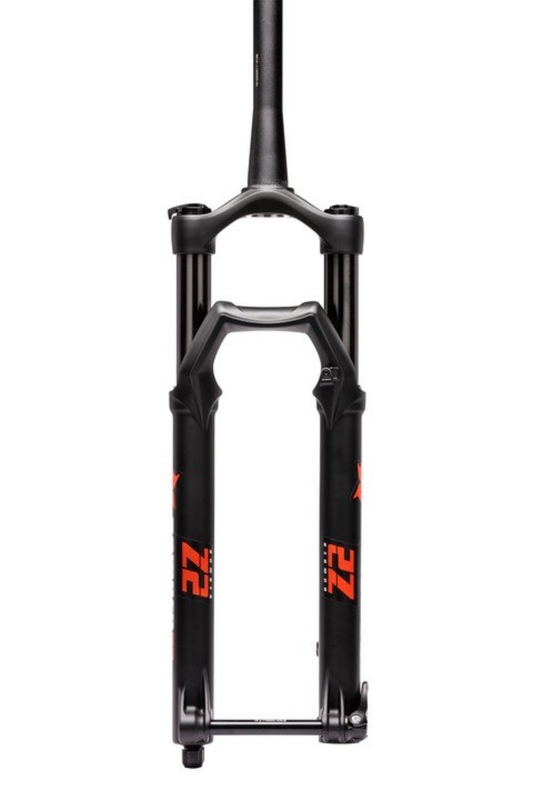 Last May, Marzocchi made a comeback of sorts, launching a contemporary version of the famed Z1 Bomber fork. 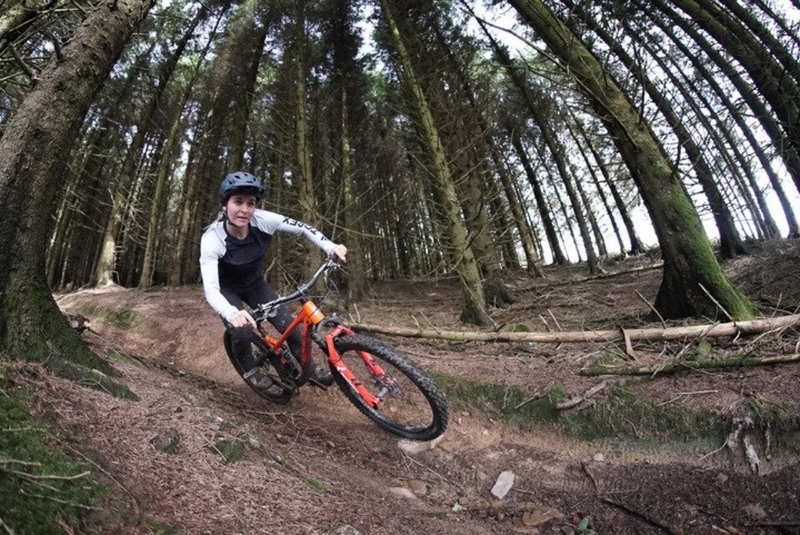 Indeed, as longtime mountain bikers will remember, it was at one time the fork to have. While other suspension makers were struggling to find the balance between performance and weight, the then-Italian company went all in on making a fork that featured oil, coils, and massive stanchions. 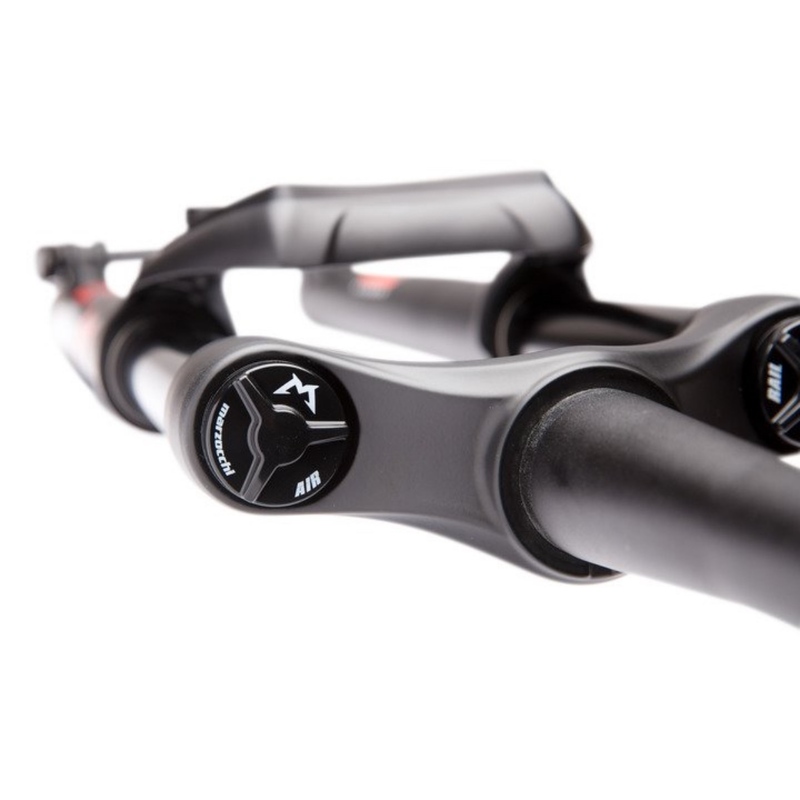 The quick release thru-axle is from Fox. And it actually worked — extra weight be damned. This earned Marzocchi revered status among the emerging “freerider” crowd who didn’t give a bleep about how much the fork weighed as long as it didn’t buckle under the force of big B.C. hits. 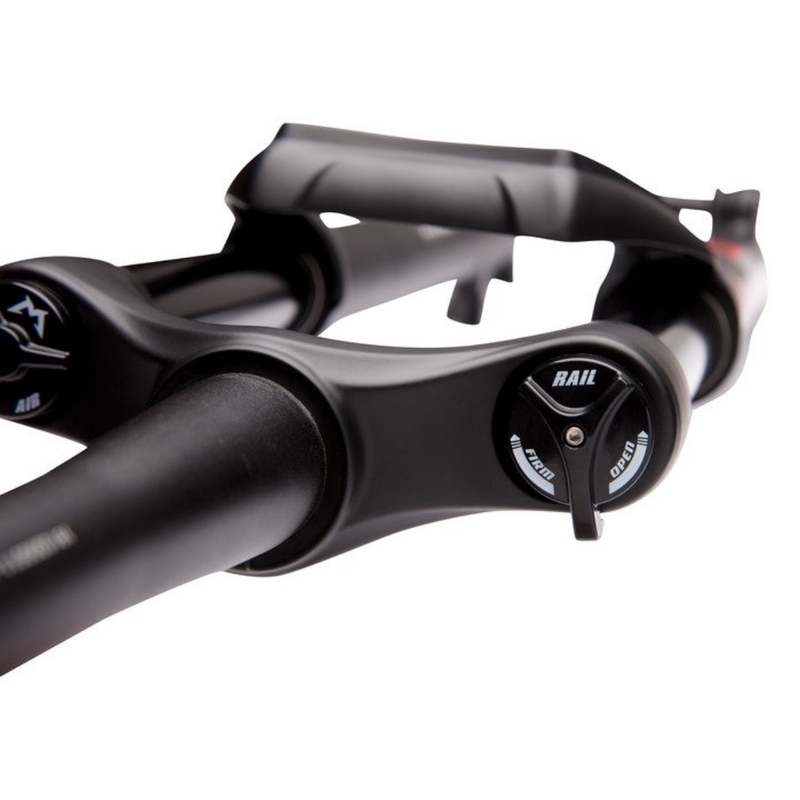 But…then the rest of the world caught up and Marzocchi slid out of favor, with the likes of RockShox and Fox all but drumming them out of business. So much so that in 2015, Fox actually bought what was left of Marzocchi. 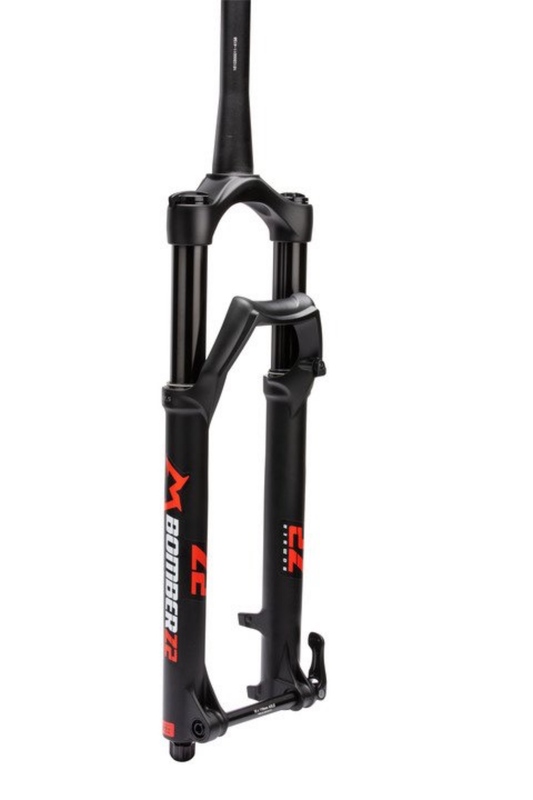 Read the Mtbr review of the Marzocchi Bomber Z1 fork. The LSC/HSC adjustment dial is straight forward and lacks detents. 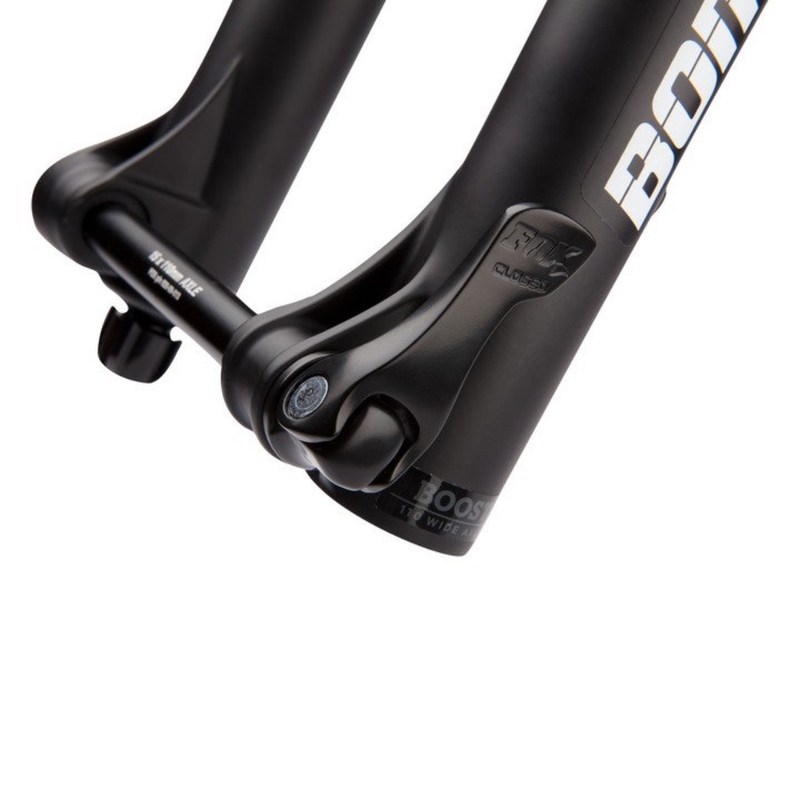 The latest Marzocchi Bomber Z1 wasn’t positioned as the end all fork to have. Instead it was a great choice for trail/enduro riders on a budget. Indeed, that fork sells for $699, while the entry point for the pricier Fox 36 is about $200 more. And now there’s an even more affordable option, the just launched Marzocchi Z2, which sells for $500. The Marzocchi Z2 will definitely appeal to the set-and-forget rider. Key features include enhanced lower leg stiffness with “M” arch design for maximum tire clearance (27.5×2.8 or 29×2.6), 37, 44, 51mm fork rake options, a new 15QRx110mm axle design, and 100, 120, 130, 140, 150mm travel options. And of course it comes in the famed Marzocchi gloss red or matte black if you prefer something a little more understated. To learn more about the Marzocchi Z2 head over to shop.marzocchi.com. 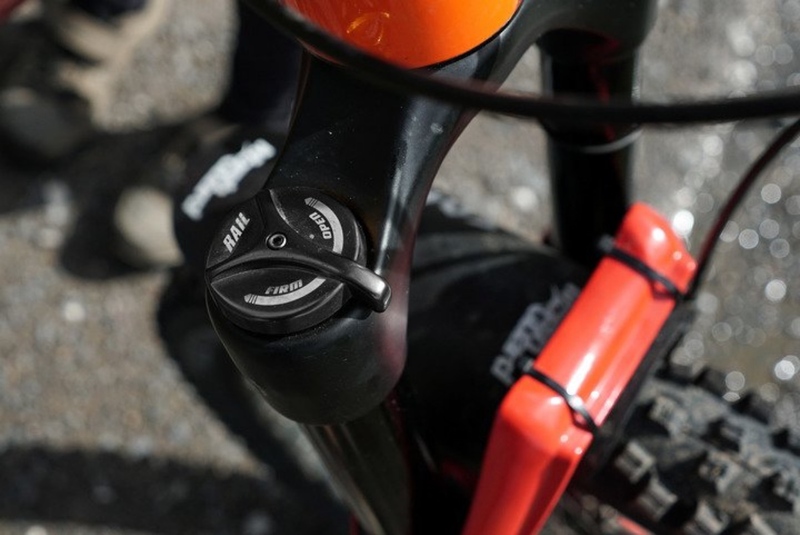 Claimed tire clearance is up to 27.5×2.8 or 29×2.6. Travel options are 100, 120, 130, 140, and 150mm. There are 37, 44, 51mm fork rake options. We talk to Jaxson Riddle about how he got into freeride, his hiatus from social media, and the work he’s putting in to get to his biggest dream.